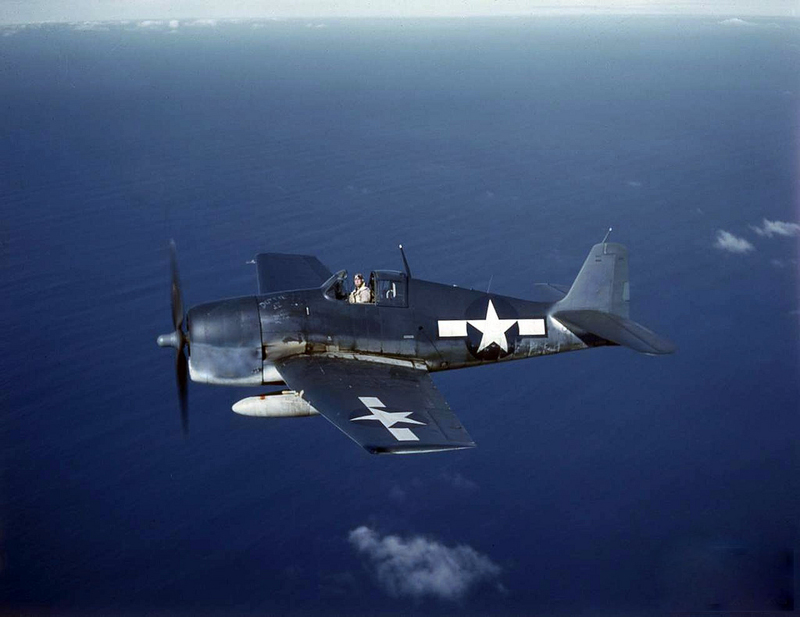 On June 29, 1948, a Grumman Hellcat which had been converted into a remote control drone was launched from Otis Air Field in Falmouth, Massachusetts, for a test flight. Once airborne the aircraft was controlled by equipment aboard the U.S.S. Providence sailing in Buzzards Bay off Falmouth. After flying over portions of Massachusetts and Rhode Island it went out to sea where it failed to respond to further signals from the Providence. It crashed in the ocean near “No Man’s Land” Island, off the coast of Martha’s Vineyard. The total flight covered nearly 190 miles. Parts of the wrecked aircraft were later recovered by fishing boat in the area and turned over to the Coast Guard. The aircraft had been painted red as part of the conversion.